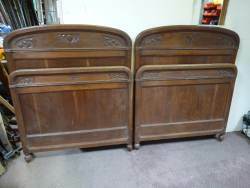 French 3'06" bedsteads, could be converted to single. 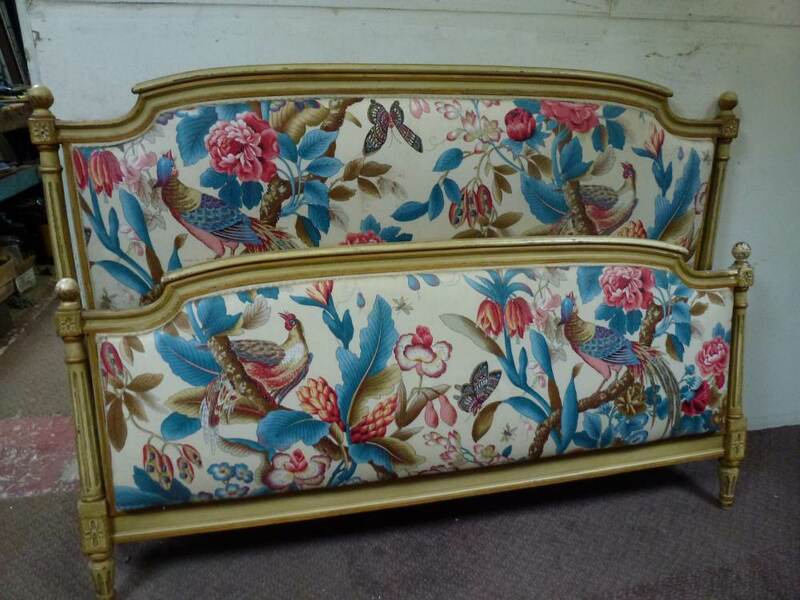 Can be powder coated to your colour preference. 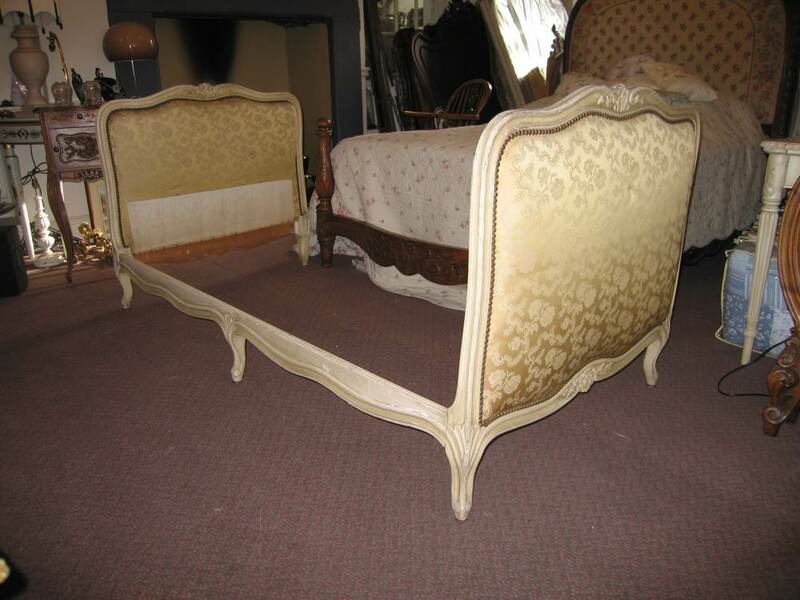 Simple, elegant Bedstead, 5' 00" with brass Ormolu mounts on head and foot. 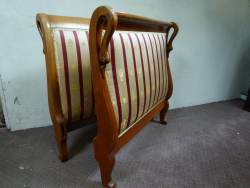 Parquetry inlay feature. 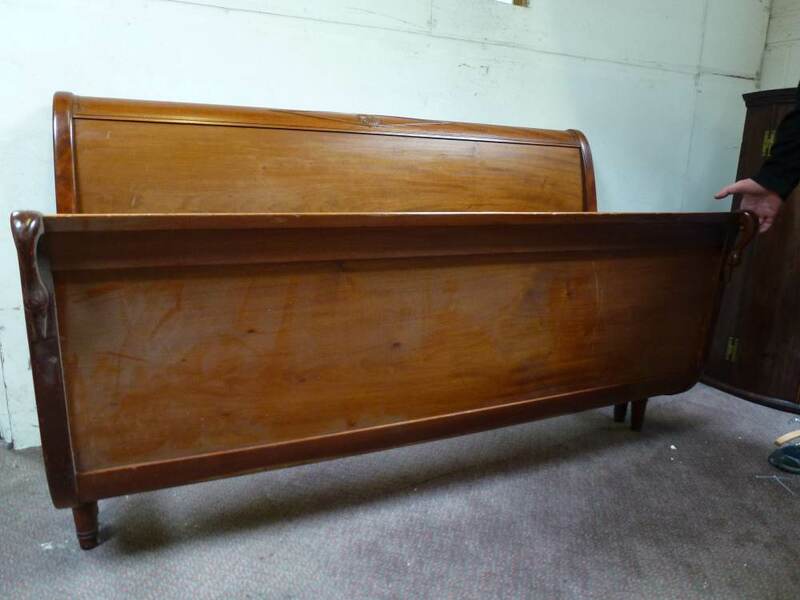 Bowed footend. 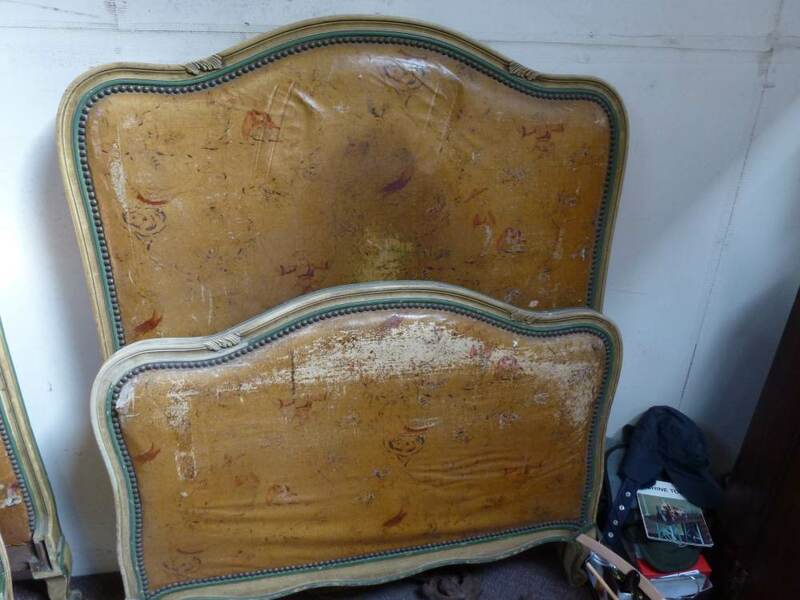 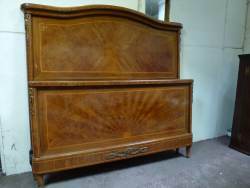 French with carved detailing, small amounts of repair required. 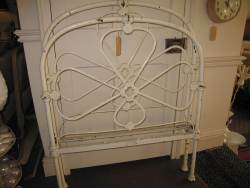 Pretty little single bedstead, with brass label Peyton & Peyton, Birmingham. 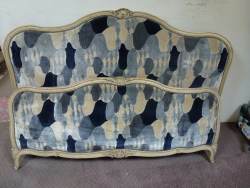 Can be restored to your colour preference. This bed has a Rolled Edge. 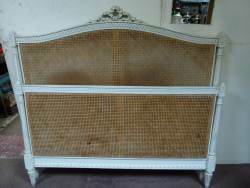 Is in as found condition, can be restored to your colour preference. 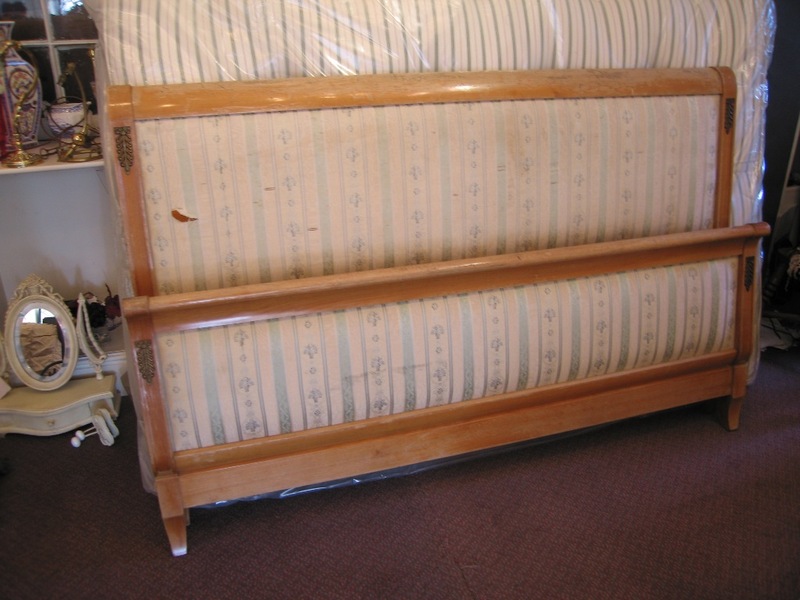 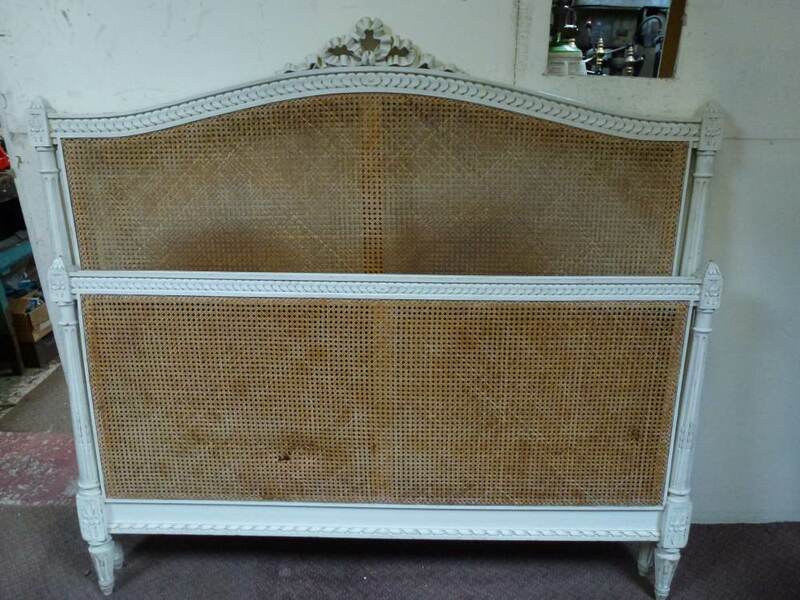 French white painted wooden bedstead with pretty ribon design detailing. 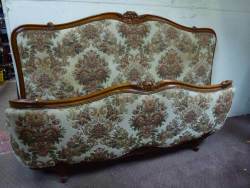 Carved Walnut Double bedstead, beautifully carved. 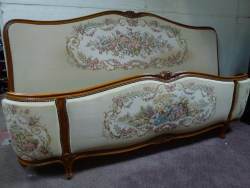 French Walnut Kingsize Bedstead, swan detailing. 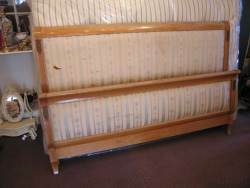 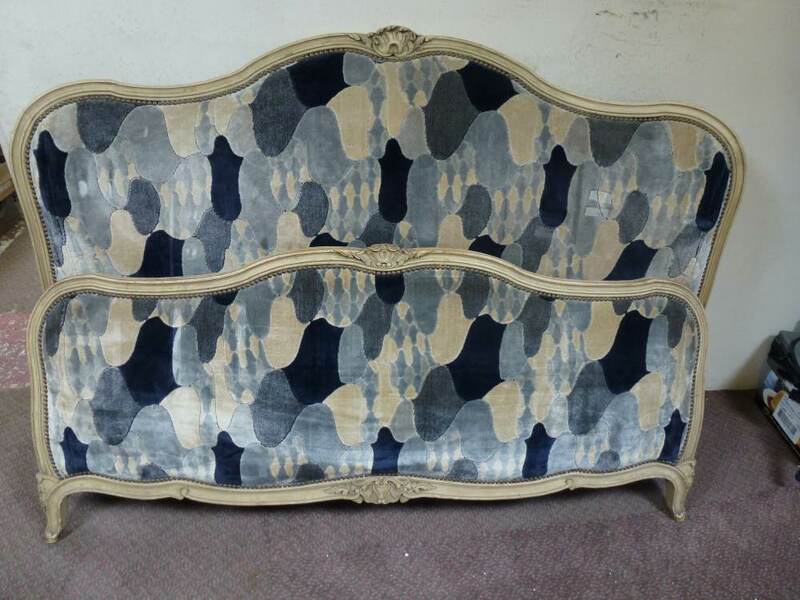 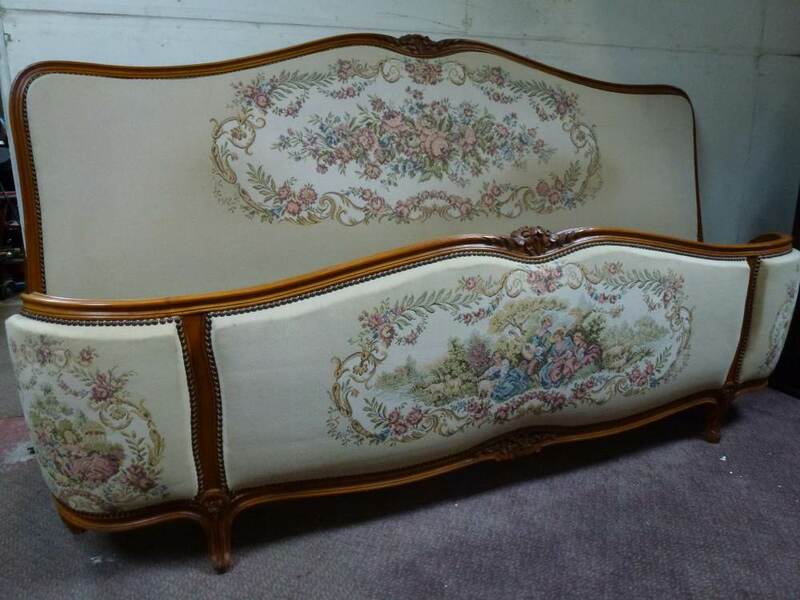 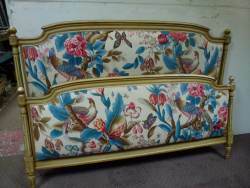 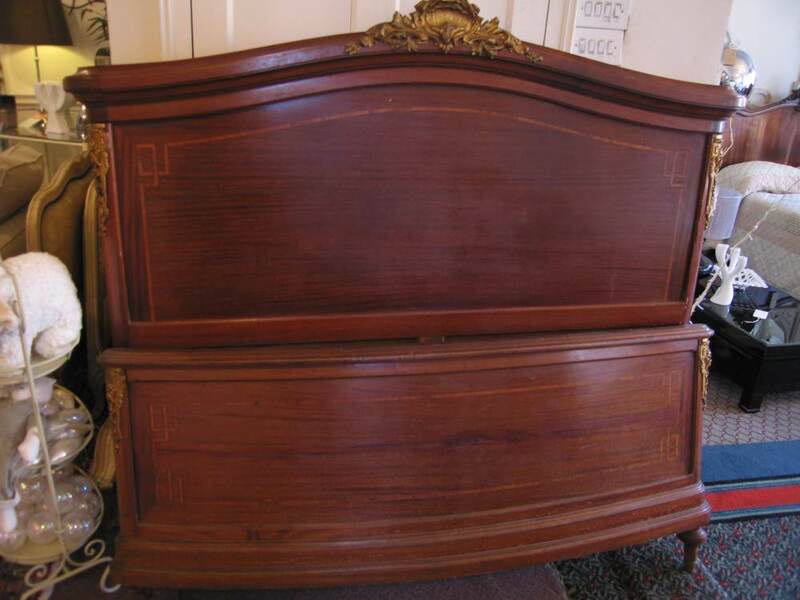 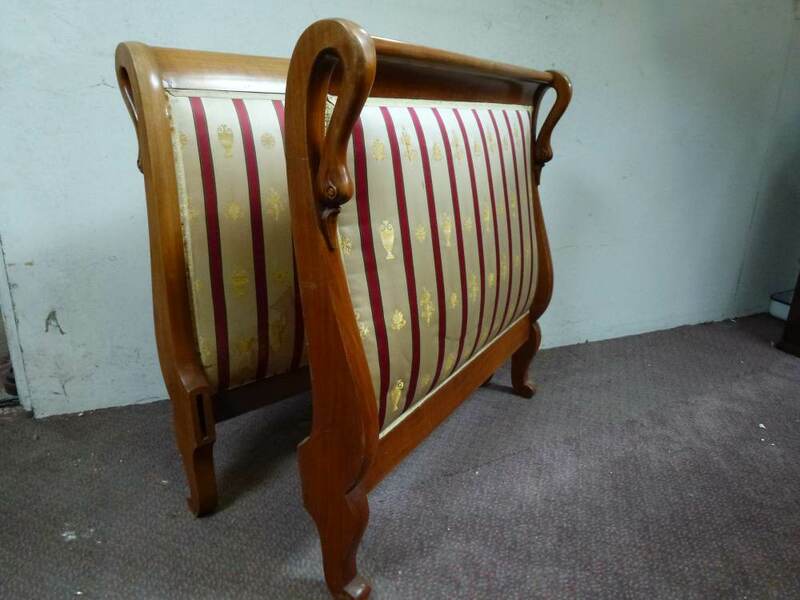 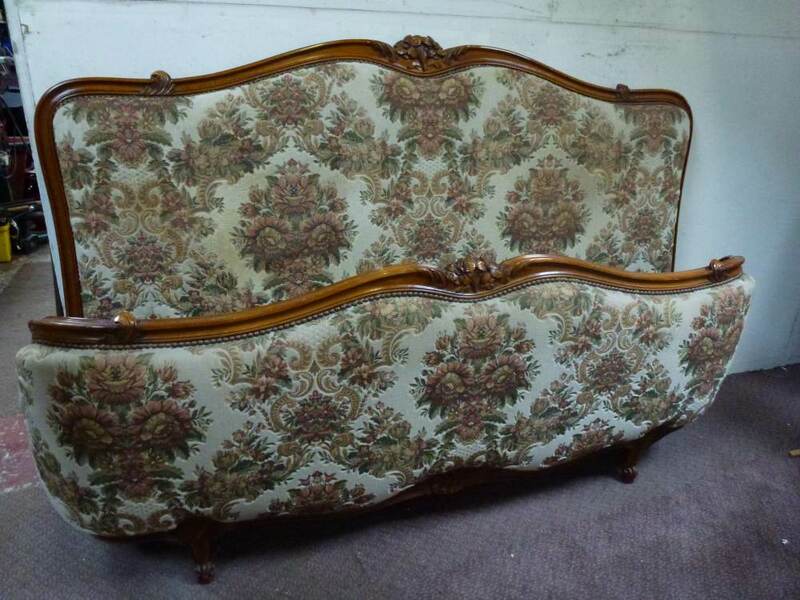 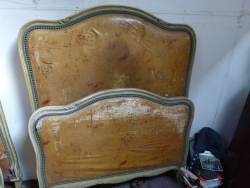 French painted Kingsize upholstered bedstead. 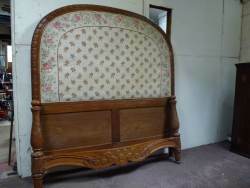 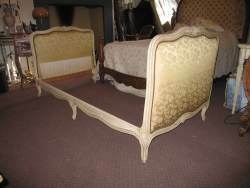 5' 03" French Demi Corbeille upholstered Bedstead. 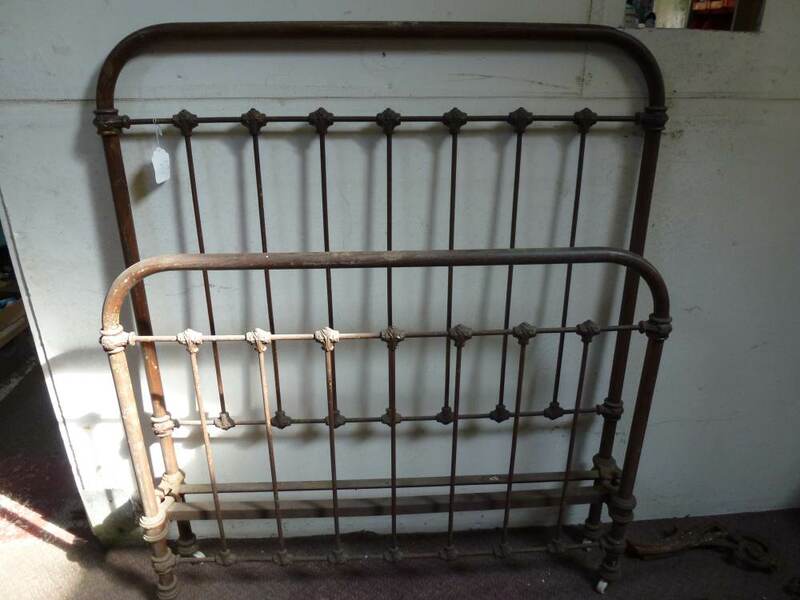 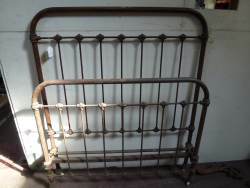 1920s Beech Demi-Corbeille 6'6" Bedstead.